As the famous Quote states “Education is not the answer to the question. Education is the means to the answer to all questions.” Therefore, I feel that a well-educated individual has one of the life’s most valuable possessions that too as a result of one’s own hard work. Education is the only companion who will be by your side at all times and will never let you down. That is why; a concrete foundation is indispensable in shaping one’s future. An educated and qualified person has always something to fall back upon. I strongly believe that one cannot perform better in any other field beside the field that deeply fascinates and captures one’s interest. Determination and persistent hard work follow one’s decision in undertaking a challenging task, there was a time where one was supposed to get this education/knowledge by enrolling to the educational institutions by meeting their academic requirement, it was reachable for only privileged class, but today the whole arena has changed ,the concept of open education has revolutionized the field of education it has replaced the traditional class room and made education free and accessible to all. Affordability: The word free attracts everyone and in my view the concept of free education is best served by open education. There are hundreds of lecture hours which are available for free in reputed universities websites such as MIT, these are free and open for anyone and there are many online learning platform which are also cheap and affordable for students. Flexibility: Open education offers students flexibility to choose what to learn and when to learn and how much to learn, in return putting them in control. It provides ocean of resources for students in-comparison with the traditional classrooms. This week’s concept and videos were very interesting and covered the concept of open education and knowledge sharing. As a mathematics major I had a strong mathematical knowledge but teaching was something very new to me in my initial days of my teaching career. As Ashley mentions in her blog post We are not responsible for creating the material that we provide to students, I think I have exploited most of the resources online which helped me to effectively deliver knowledge to students and thanks to all those who believed in the concept of sharing culture , it made my initial days a lot easier. The resources like Karnataka education ,Open Educational Resources for Mathematics has helped me a lot in developing material to facilitate my course. It has improved my teaching material and delivery. Kirby Ferguson’s popular videos illustrates that everything is remix and everything we have created takes motivation from something which is already in existence. The video showcases number of evidences that supports his claims. I was convinced and it kept me thinking that most of things I do in my teaching practices might be exactly the same. I believe that in order to lay a strong foundation of knowledge we need to copy and when we relate this to our profession we take ideas, material, technic’s from resources and effectively deliver knowledge to students and I think it has made our life as a teacher much easier and effective. Just Imagine the amount of time required if we had to create everything original ..?? After reading the blog post of Joe Marine his question kept me thinking and I wanted to share the same with everyone , Is there a need to reform intellectual property laws to better represent how ideas actually spread? Is it possible to have original work, or is everything truly a remix? Social media has revolutionized the world that we are living today, it has brought race, community and religions together, the world is shrinking and thanks to social media that we are realizing and responding to social cause. In my view human being by his nature is a born activist, it is not logic but science, we are activists in one way or the other, all our life right from childhood to adolescence, from home to society that we lived in we have fought and argued for something in our past on various platforms and now the whole arena has changed. Do you think that you are a stranger to social media activism? If you are using any social media tool, it might be Facebook or twitter, you are not a stranger to it, you would have responded to a post of social cause, raised your concern or supported for it and that makes you a social media activist. Whenever we talk about social media activism and online social justice a popular question arises, as it was raised in our weekly schedule, Is it possible to have productive conversations about social justice online? I have a mixed opinion about this. A lot of people are in an assumption that people using social media to raise their voice and concern to a social cause are just lazy and their Facebook status, their comments, posts and their tweets are not helpful, as I said earlier the whole arena of activism has changed, social media has brought together people form across the globe with same views and ideas as if they are a part of a larger community and sparked movements. I agree that It is difficult to have a productive conversation about social justice online because usually these topics are very controversial and it is common to have backlashes, every one of us fear this backlash and avoid participating, because that it would tarnish our digital identity and we will be vulnerable to verbal attack, bullying, but having said that we are forgetting the very definition of social justice . It is code for “Good things” no one need to argue for and no one dares to be against! Yet the fear of opposition make us keep back step. As educator’s we have to make our students aware of social justice and to raise their concern in an appropriate way , as my fellow classmate Roberta Berry addresses in her post why is Teaching Social Justice Important for our students. Teaching students about social justice gives the student strength to speak up and making them aware and educating them about positive digital citizenship and cyber safety will give them confidence to participate and have a productive conversation about social justice. Finally we end up with the question, as an educator what are our responsibilities to model active online citizenship. As I have discussed in my previous blogs, we as educator’s must be a model, reference to our students on how efficiently we handle and participate in online conversations on social activism and social justice. I acknowledge the fact that we have some restrictions in participation by our governing bodies yet in order to tailor our students we have to put up an effective road-map so that our students can follow and be a productive social activist. To my fellow teachers who are reading this, if you are a teacher who has participated in any social media activism, how do you want a student to see social media with social cause? And what advice do you give your students about participating in controversial issues or topics? Back in days a good physical/personal identity was everything that an individual would have focused on and they worked hard to maintain a reputed identity, which was the only thing that elevated their reputation in the society and social life, but today things have changed, we are living in a digital era and there is a need for us to maintain a reputed digital identity too,as in my fellow classmate Amy B, felt in her Blog post on digital Identity even I thought that this week blog post topic was simple, as I was active in social media (Facebook not twitter) I would share some of my experiences and only after a lot of thought I understood the importance of the topic and how our digital identity defines our physical identity or represents who we are in this digital era. What is digital identity? Whether digital identity defines our physical identity ?Wikipedia Defines that a digital identity is information on an entity used by computer systems to represent an external agent. That agent may be a person, organisation, application, or device , that means it is an online identity, and if we are defining our own digital identity according to, Binary Tattoo digital identity is a permanent collection of data about yourself that is available online. Let us mark the words PERMANENT, so the answer to my second question is yes our digital identity definitely defines our physical identity and represents who we are, We are very particular when it comes to our physical identity. We try to make ourselves presentable to the best of our knowledge, the way we dress, part our hair, the way we eat food or the way we speak to others and that reflects who we are and how other others see us and that in-return defines identity, where as our digital identity may actually be more important than our physical identity because when people are looking us or our work online they judge us based on the information which is available online about us. So we must be very careful when we portrait our self and our work online. As a teacher I see a strong need to educate our students the importance of digital identity, they are sometimes so naive that they do not understand consequences of having a negative digital reputation. They are in a digital age where everything can be googled online and privacy has become a laughing stock, our students have a long way to go and have no idea that their reputation might be at stake, they may not comprehend the consequences of what is shared via internet. We must tailor them to leave behind an appropriate digital footprint so that it will nurture their growth. Social media bullying has become a serious problem today, the article at No bullying.com states that children were often bullied at school or in their neighborhood. But today, with the increased use of the Internet, children are now being bullied in all locations and at all times, the article sheds light on different area where children’s are bullied because of have a bad digital reputation or lack of knowledge about digital identity. So it is high time that we do something about it. The question arises that how can we educate our students to be a positive contributors and responsible digital citizens which will ensure that they will have a positive digital identity. As Educators we can refer to a ISTE White Paper, Building and Keeping a Positive Digital Identity, Which will guide us to help students be more cautious of what they are doing online. The article poses five questions which teachers can use to teach students about online behavior and identity. I found another useful Article by Dawn McGuckin – Teaching Students about Their Digital Footprints, which I felt very effective to guide our students, in his article he describe several steps for creating a lesson plan that will aid in making the Internet a constructive tool for building a positive, online identity for our students. Social changes have created a new expectation in education. Children’s today is aging up in a world which is entirely different from the world of most of we educators grew up in. we as educators have witnessed the creation and evolution of the internet, computers, Facebook, Twitter, Google, iPhone’s, iPad’s, and countless other technological devices whereas children’s of this advanced era of digital generation have only experienced a world in which these technological advances exist. No doubt that Social media has become an integral part of our youth and offers ocean of resources for students, but as an educator I feel that it is our duty to tailor our students to perfection and make them positive and efficient digital citizens. Technology and our life had integrated in such a way that we cannot imagine a world without it. Technology has simplified our life as an educator but biggest concerns about teaching in the digital age is as an educator are we equipped with the right knowledge of the technology which we are using and promoting in our classrooms. We are well aware that mentor ship is very important to shape the career of every student. All the use of technologies and initiatives tend to fail when there is lack of guidance. For this week’s post, we are expected to share our biggest concerns for teaching in the digital (social media) age. Let me start by saying Social media skills have an increasingly useful presence in our present classrooms. Educators and students alike use them to connect, share expand and enhance learning. There is a trending debate that social media is killing student success, and it is a major distraction but Social media doesn’t have to be a distraction, rather it can be used as a powerful learning tool if properly used. This begins with our most powerful classroom tool. That, of course, is a knowledgeable educator. Having the right knowledge of teaching in digital (social media) age is the biggest concern. As I have discussed in my previous Blog , I believe education to educators might be the only way that will change culture of teaching , if we are properly equipped with the right knowledge of the technology which we are using and promoting in our classrooms that is when we can deliver it to our students and make them a positive contributors and learners. 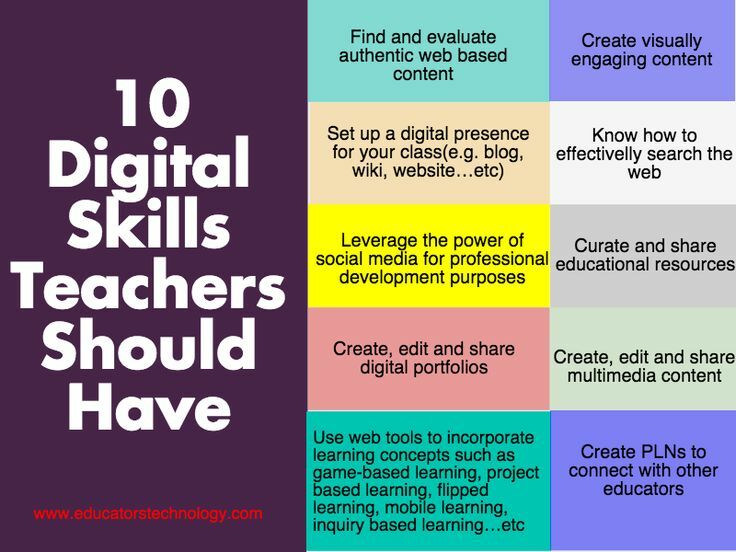 To become an effective educator in the digital age we have to master ourselves with the key digital skills which is essential. What lies ahead for us as educators in this digital era? As traditional classrooms continue to transform into digital ones, we will see teachers delivering instruction through multifaceted modes of learning. Digital enriched content and personal learning will be at the forefront, as will collaborative and interactive learning.